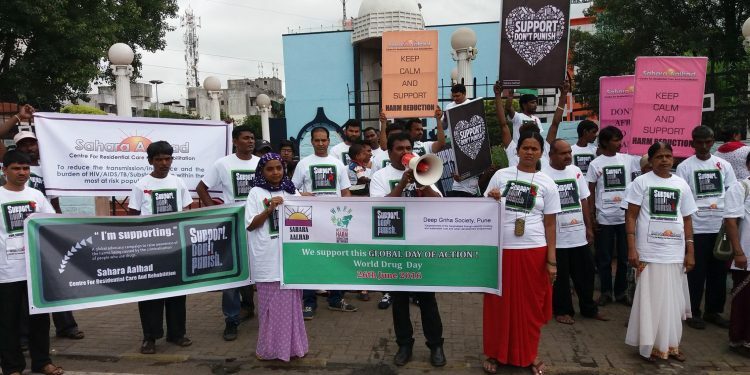 Today our voices have been heard loud and clear as we took to the streets of Pune, India for the World Drug Day rally, Global Day of Action on 26th June 2016… All members of Sahara Aalhad IDU community, our service providers, supporters and friends of Sahara Aalhad participated in this event. 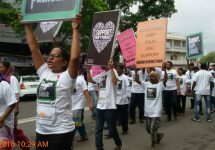 There was an incredible spirit of unity and positivity in the air as we went shouting and chanting the slogans in support of our IDU community, their families and near and dear ones. The event was followed by an indoor program such as sharing testimonies of IDUs and adjourned with snack and delicious lunch to all the participants. 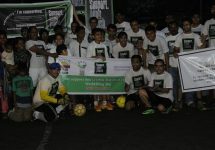 The evening saw a soccer match with Pune Novotel hotel at Fun Fitness Club in Viman Nagar where all the participants and friends were given the “Support, Don’t Punish” t-shirts. 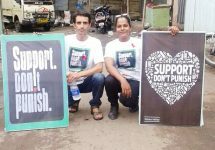 This all would never have been possible if not for the great effort and initiatives by the “Support, Don’t Punish” campaign. Thank you so much for making all of this possible. This has been a big step towards the betterment and empowerment of our community. 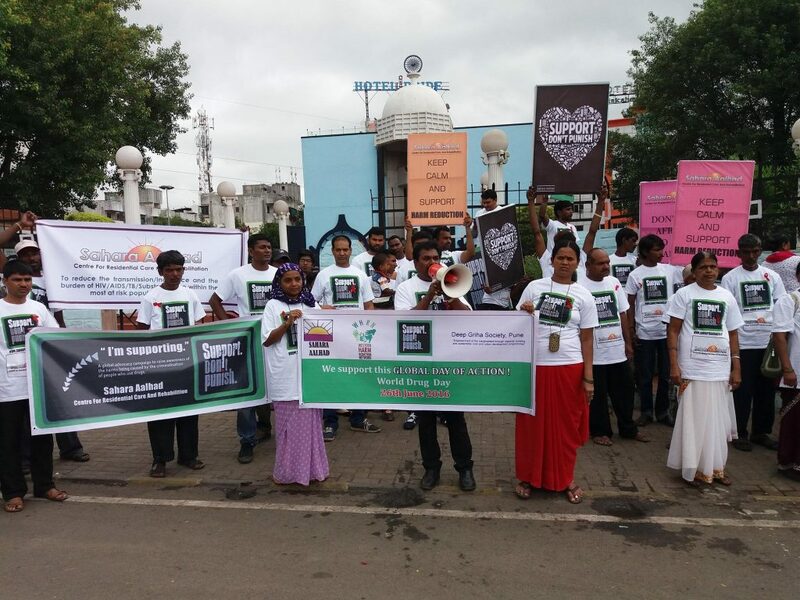 We also extend our sincere thanks and appreciate friends and supporters of Sahara Aalhad for their great effort and time. There are too many to name individually, but if it were not for them this great and fruitful event would not have been possible. 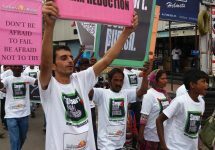 We look forward to a society where there shall be no more stigma and punishment to our drug user friends and hope to have many more such event in future again.